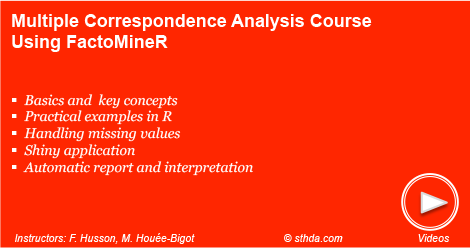 This article presents quick start R code and video series for computing MCA (Multiple Correspondence Analysis) in R, using the FactoMineR package. 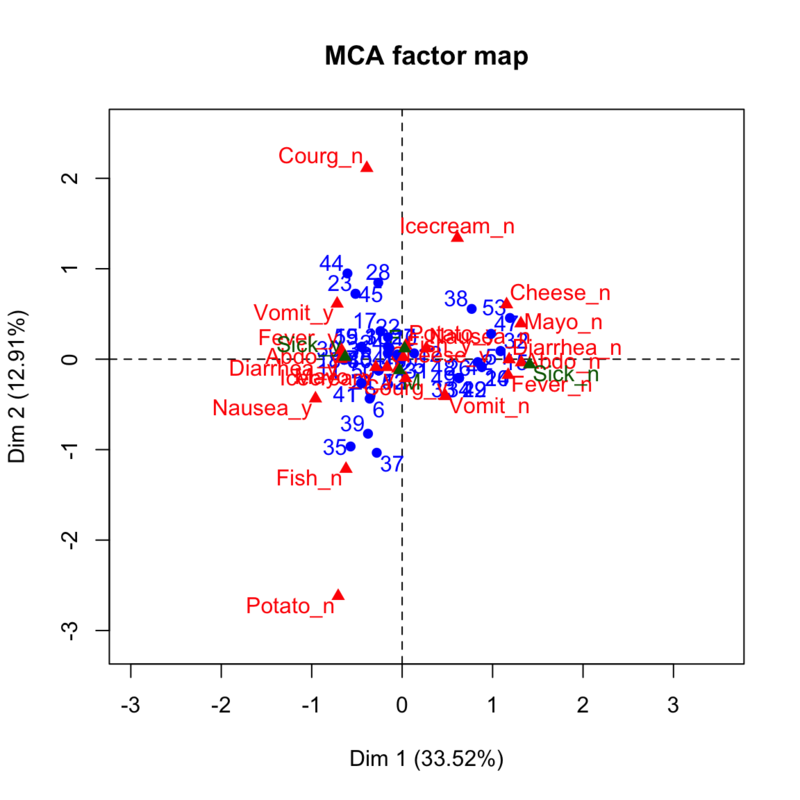 Recall that MCA is used for analyzing multivarariate data sets containing categorical variables, such as survey data. 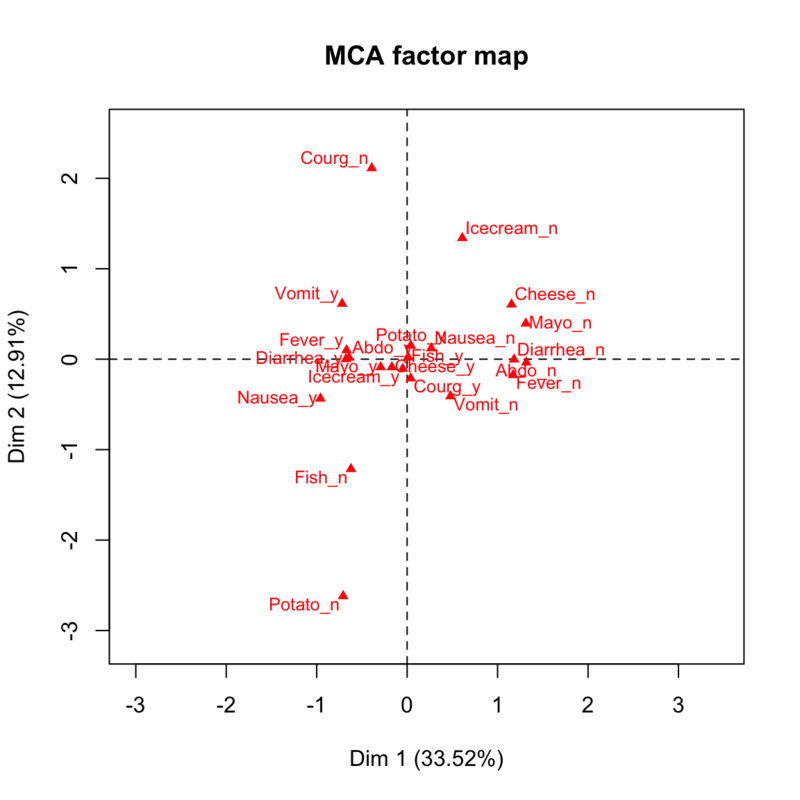 Compute MCA using the demo data set poison [in FactoMineR]. This data set refers to a survey carried out on a sample of children of primary school who suffered from food poisoning. They were asked about their symptoms and about what they ate. Active individuals and variables are used during the MCA. 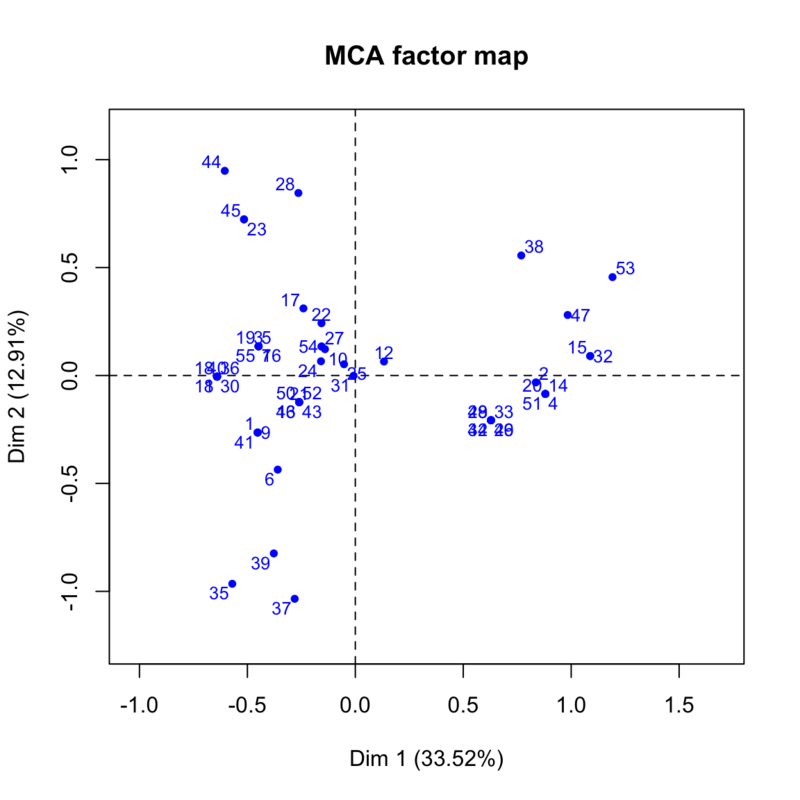 Supplementary individuals and variables: their coordinates will be predicted after the MCA. Visualize eigenvalues (scree plot). 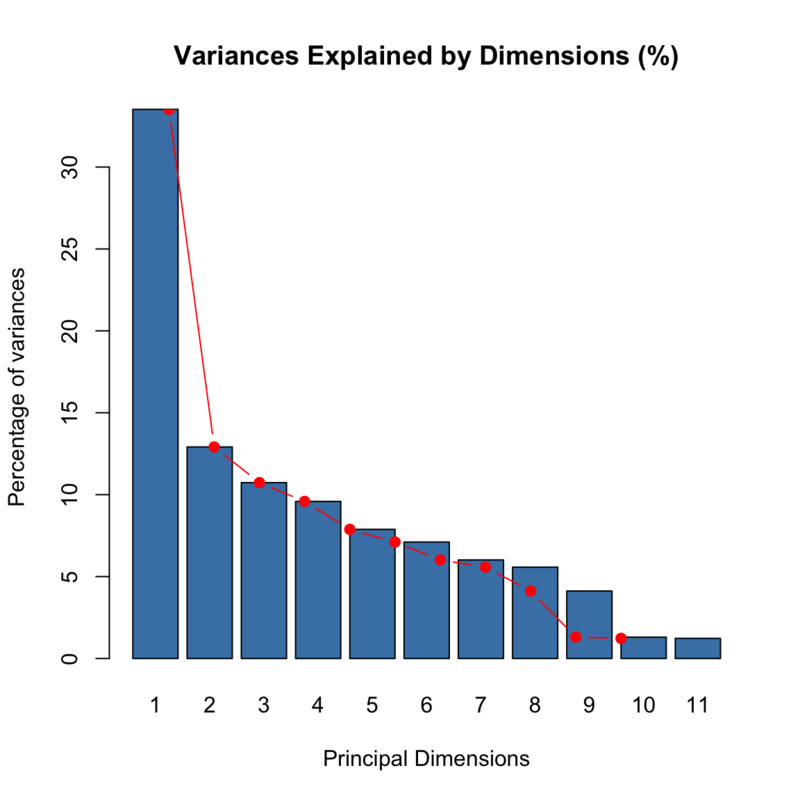 Show the percentage of variances explained by each principal component. 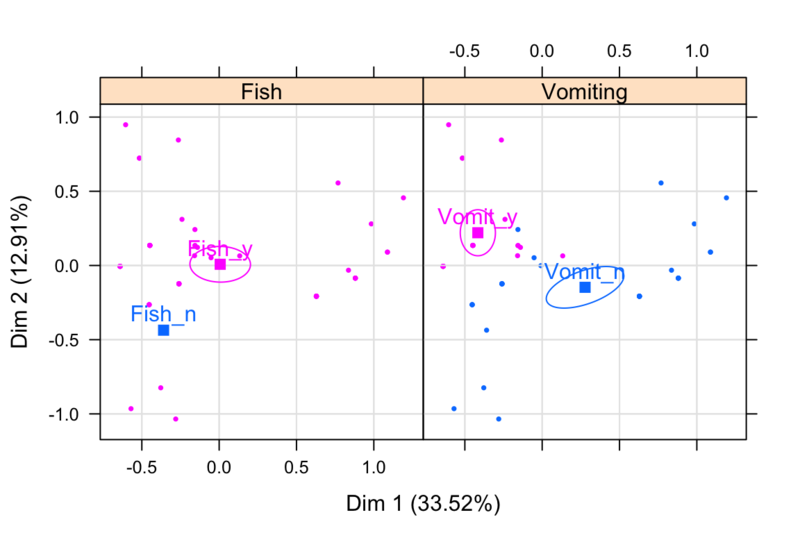 Biplot of individuals and variables showing the link between them. Graph of individuals. Individuals with a similar profile are grouped together. 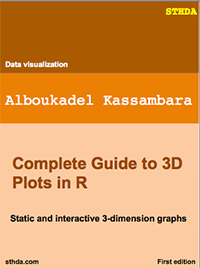 Use the argument invisible to hide active and supplementary variables on the plot. Color individuals by groups and add confidence ellipses around the mean of groups. 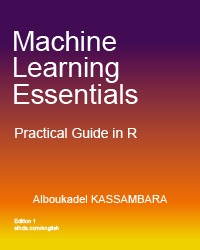 The following series of video explains the basics of MCA and show practical examples and interpretation in R.
This video describes the data format and the goals of MCA. This video shows how to build the point cloud of rows/individuals and, how to interpret it using the variable’s categories. In this video, you’ll learn how to build point clouds of categories, as well as, how to get an optimal representation of them. 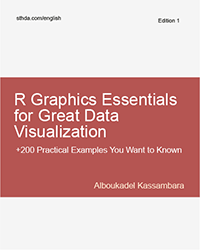 You will discover the link between the optimal representation of individuals and the optimal representation of categories. 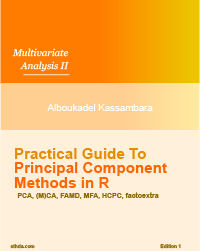 This video describes some interpretation aids, shared by all principal component methods. 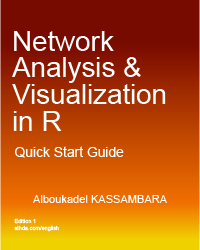 Additionally, it shows how to use supplementary information, including supplementary variables, in MCA. Enjoyed this article? Give us 5 stars (just above this text block)! Reader needs to be STHDA member for voting. I’d be very grateful if you’d help it spread by emailing it to a friend, or sharing it on Twitter, Facebook or Linked In. Avez vous aimé cet article? Donnez nous 5 étoiles (juste au dessus de ce block)! Vous devez être membre pour voter. Je vous serais très reconnaissant si vous aidiez à sa diffusion en l'envoyant par courriel à un ami ou en le partageant sur Twitter, Facebook ou Linked In. How many vowels are in the word sthda? I have cleared my all the concern about this graph. My team of Personal Injury Claim also taking benefits in their documentation work. Some of the experiences can be share through the forums by videos. All around the globe best essay review are concerning all others with preferences.